The Pulse: Belmond announces luxury Belmond Grand Hibernian route. Belmond Ltd. proudly announces its first train in Ireland – the Belmond Grand Hibernian. Expected to launch in the summer of 2016, the train marks the first luxury overnight rail experience of its kind in Ireland and will provide tours of the magnificent open countryside, dramatic coastal scenery and fascinating cities of both the Republic of Ireland and Northern Ireland. Belmond has acquired ten carriages from Iarnród éireann Irish Rail, which the company will transform into a luxury sleeper train comprised of 20 elegant cabins with accommodations for up to 40 guests. James Park Associates, who also worked with the Belmond Northern Belle and Eastern & Oriental Express, has been commissioned to design the train’s interiors. Drawing inspiration from Dublin’s classic Georgian architecture and elements of Ireland’s ancient folklore and traditions, the cabins will evoke the country’s celebrated cultural heritage with a contemporary twist. Belmond Grand Hibernian will also feature four interconnecting suites to accommodate families, two restaurant cars and an observation bar car. 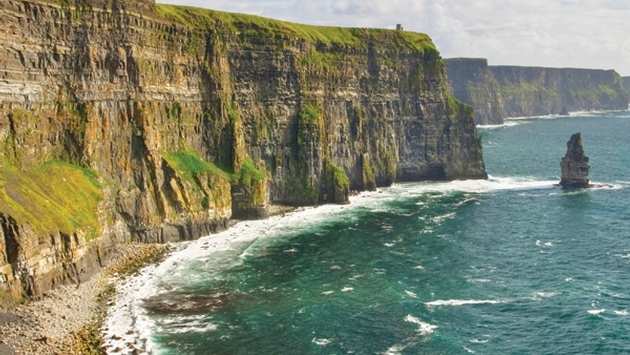 With a name derived from Hibernia, the classical Latin name for the island of Ireland, Belmond Grand Hibernian will journey throughout the island offering two-, four- and six-night rail experiences that visit the most prominent destinations of the North and South, including the train’s Dublin base, Belfast and Cork. Traveling aboard Belmond Grand Hibernian will be akin to a land cruise, offering daily excursions such as tours of historic estates, a round of golf on one of the finest courses in the world, a visit to the new Titanic Belfast center, or an immersion into the world of Ireland’s legendary writers, musicians and artists. Belmond Grand Hibernian’s haulage services and Dublin depot facilities will be provided by Iarnród éireann Irish Rail, Ireland’s national train operator and rail infrastructure provider.